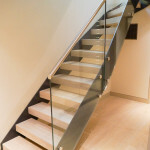 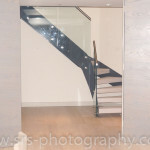 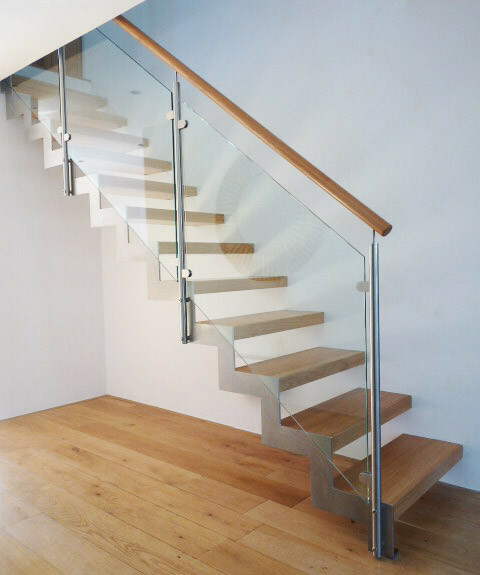 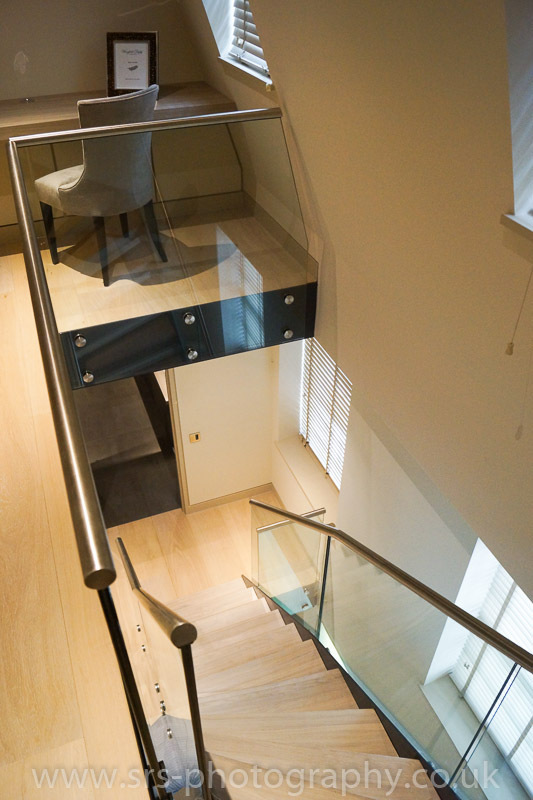 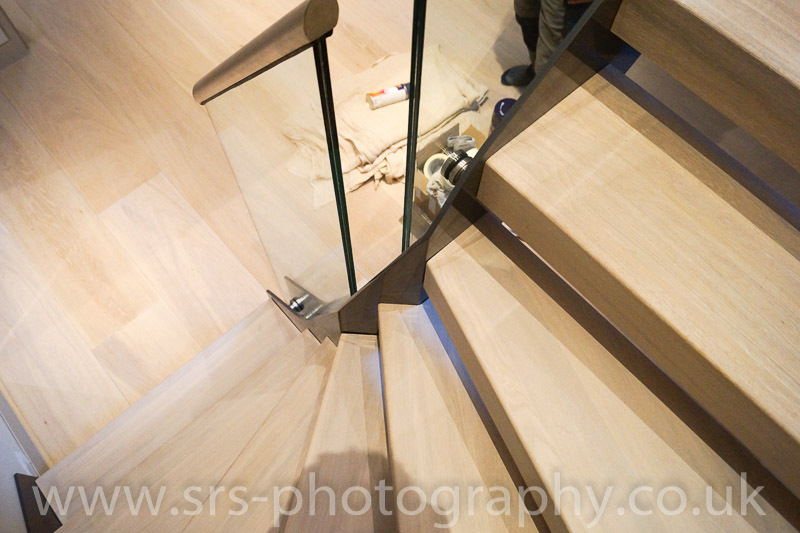 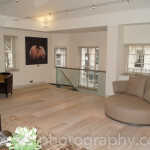 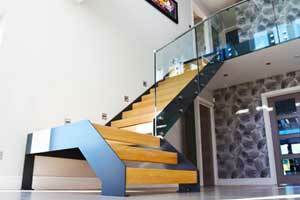 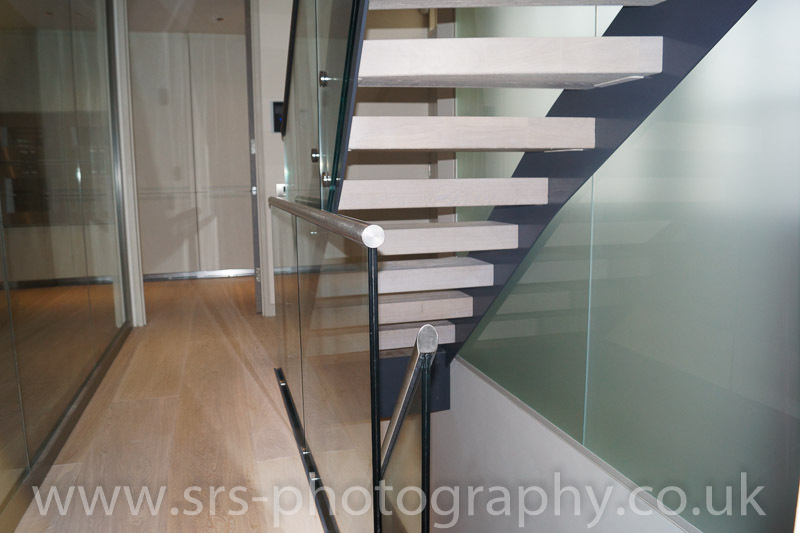 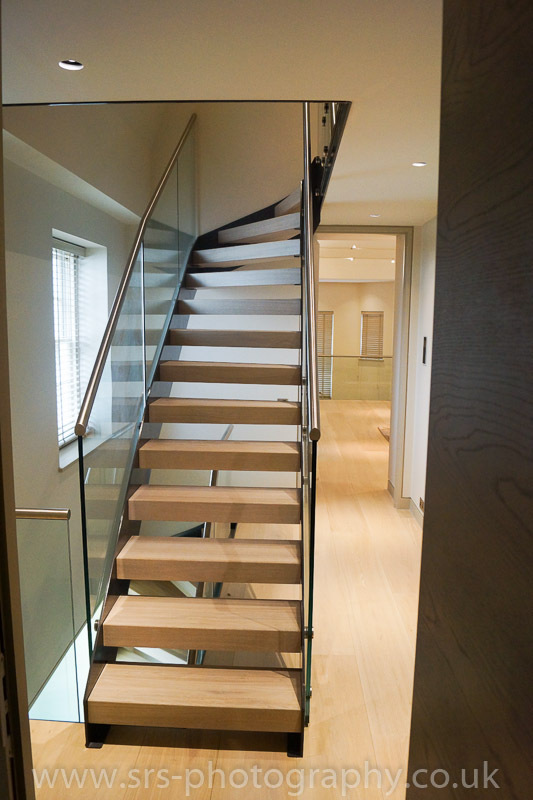 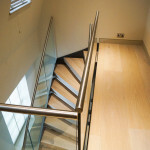 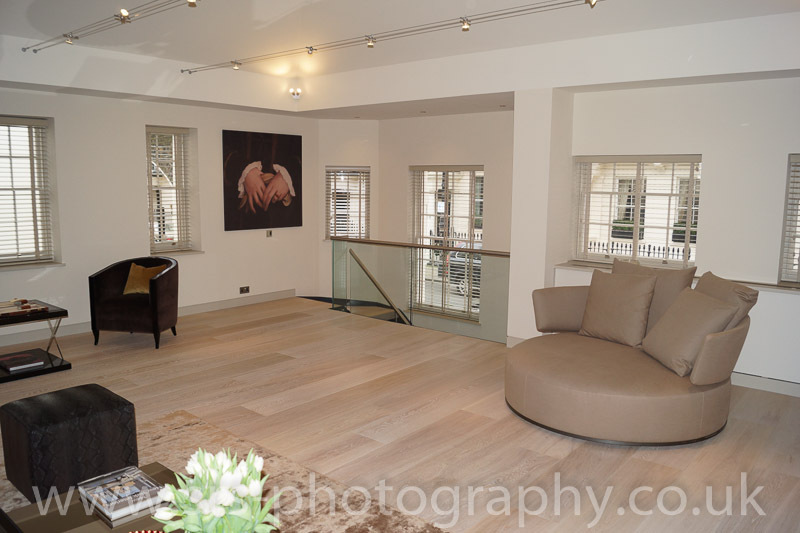 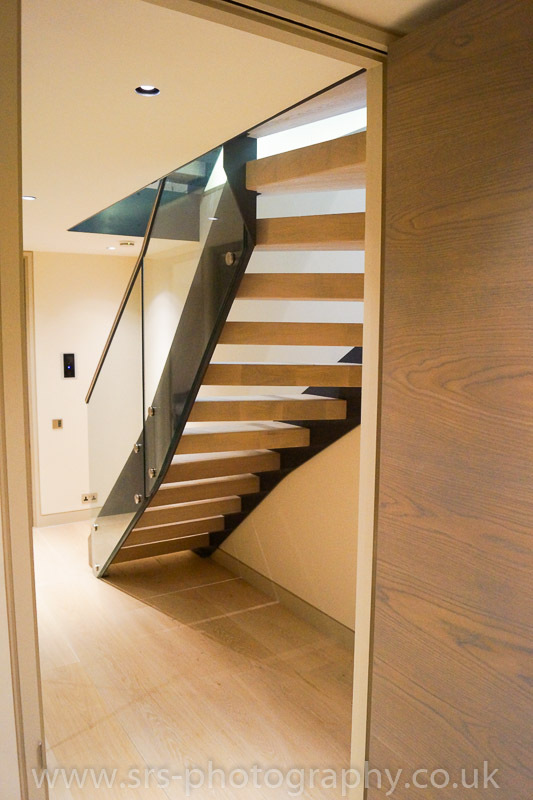 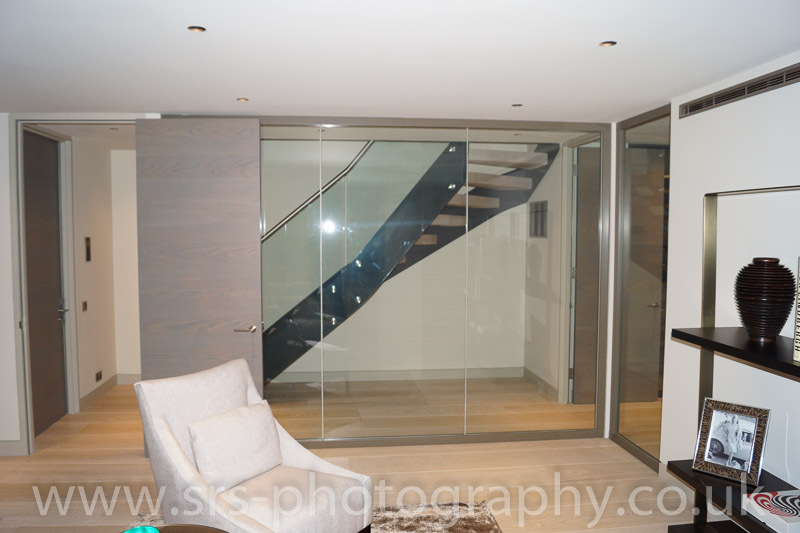 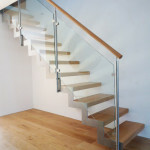 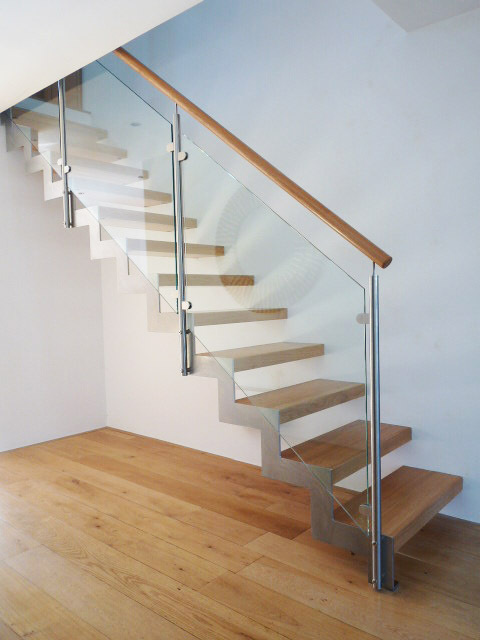 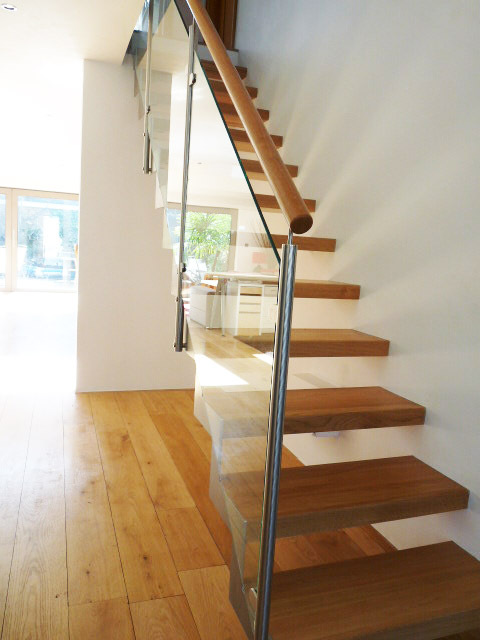 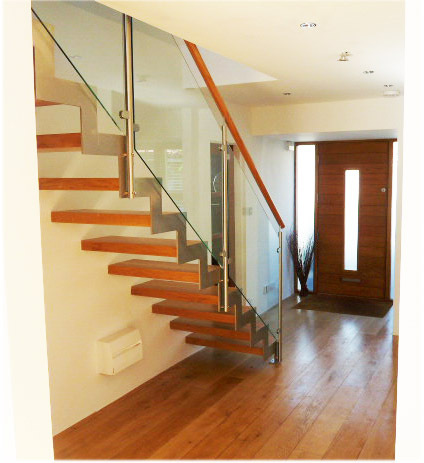 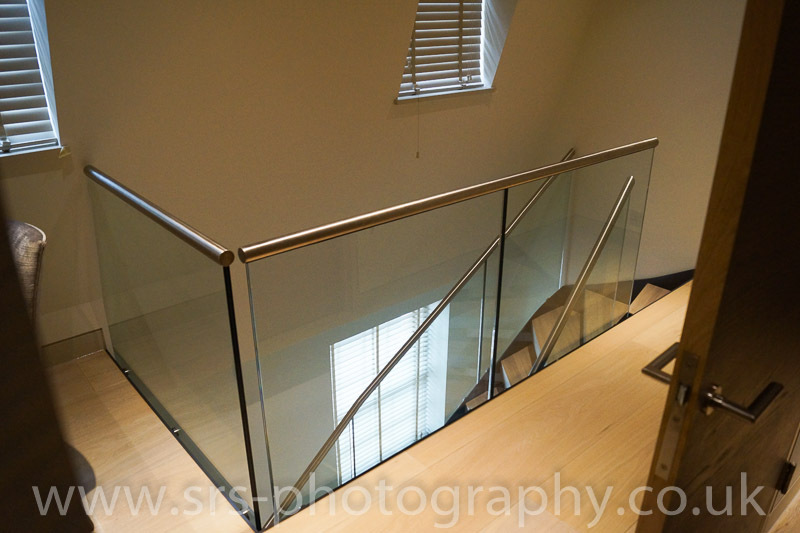 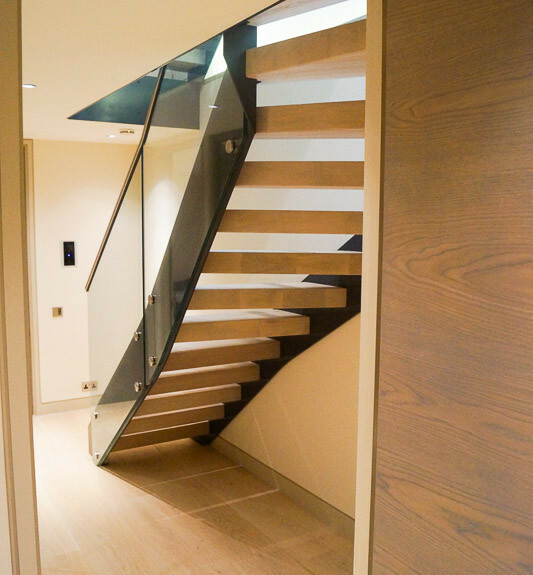 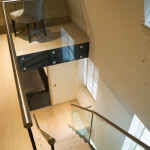 ‘Bespoke Staircase – Kingston’ was a recently completed model 500 staircase supplied to a private client. 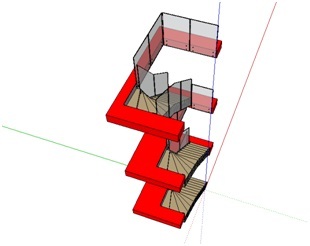 What made this model fairly unique is that the customer embedded the zig zag wall stringer into the wall to create a cantilevered effect with the treads coming straight out of the wall! 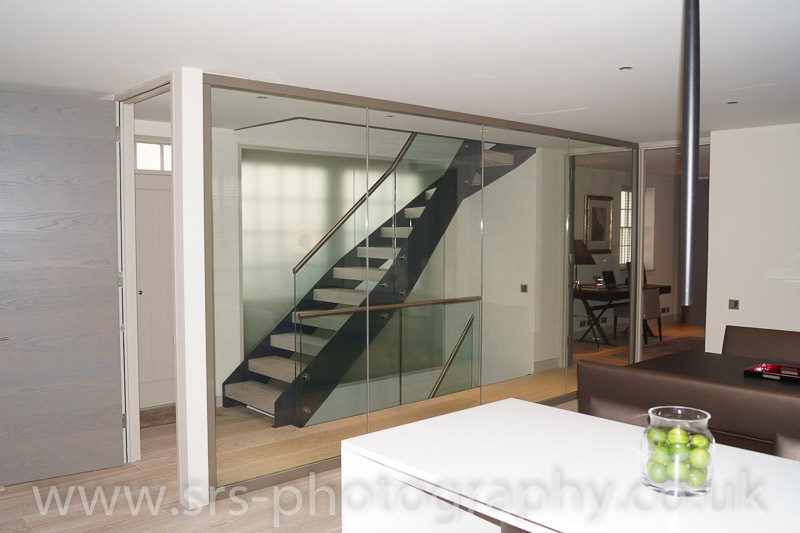 Our client cut a notch in the existing wall, positioned and bolted the steel stringer in place and carefully plastered up to each tread. 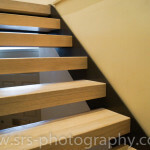 To avoid any of the plaster cracking, a small piece of ply was placed on the wall side of the tread before plastering. 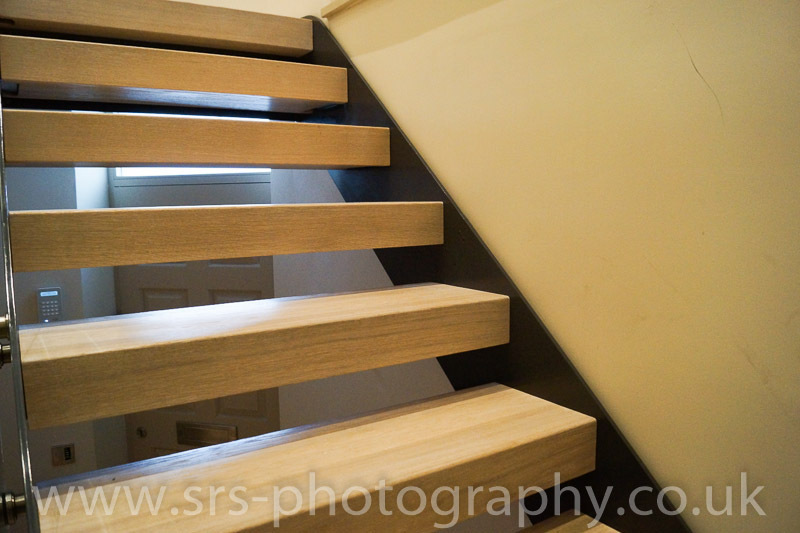 Once the plastering had been completed, this piece of ply was removed and the small gap was then filled with white silicon to allow a small amount of movement. 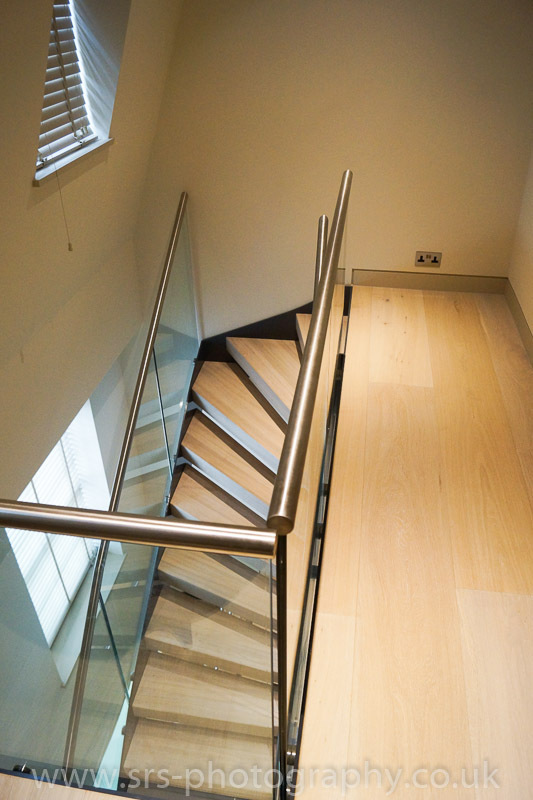 This bespoke staircase consisted of 60mm solid oak treads supported by a zig zag stainless steel stringer on the outer side. 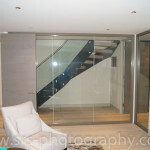 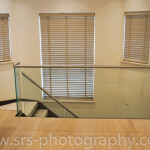 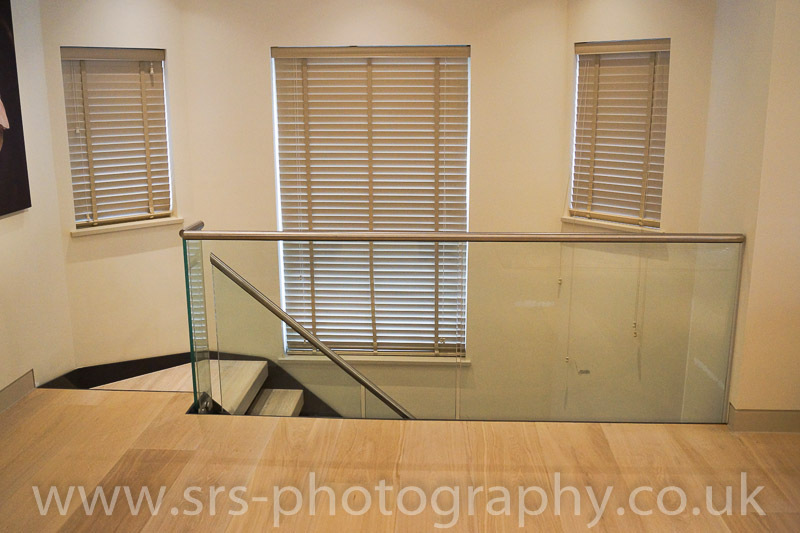 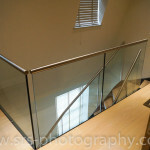 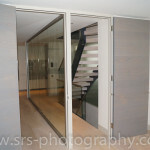 Above this were some brushed stainless steel newel posts which supported 10mm toughened glass panels. 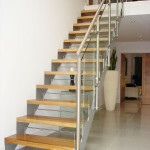 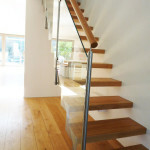 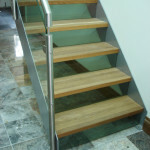 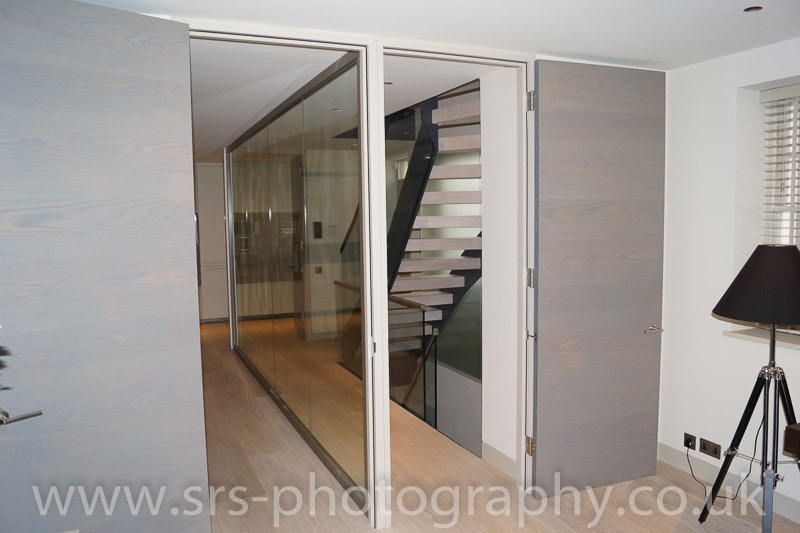 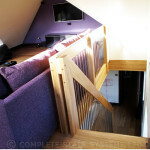 These were topped with a 50mm solid oak handrail. 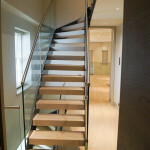 It was a total transformation from the original staircase and it opened up the entire hallway. 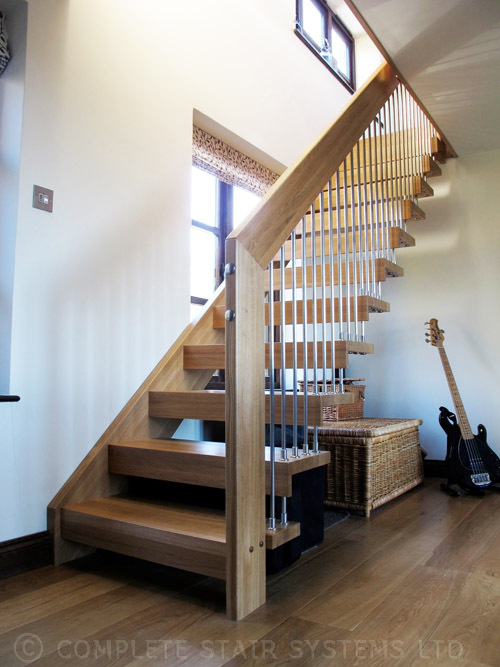 The model 500 bespoke staircase is a very versatile system available in a variety of timber, staircase configurations and finishes. 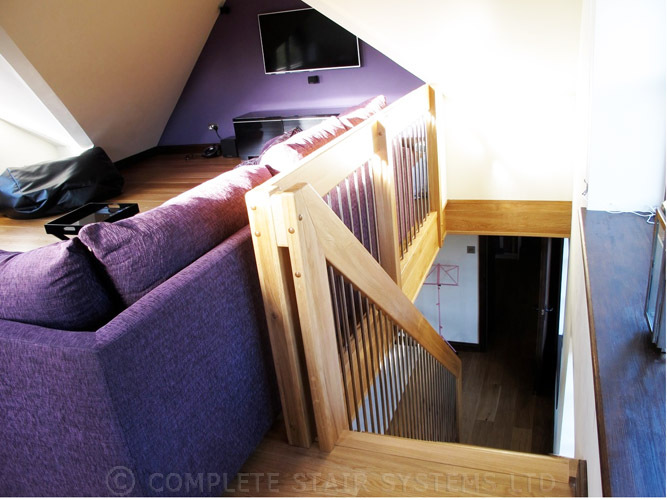 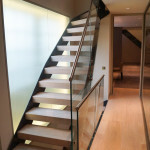 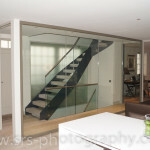 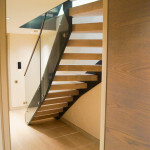 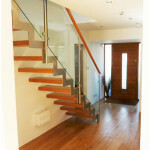 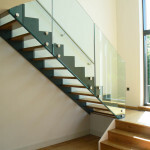 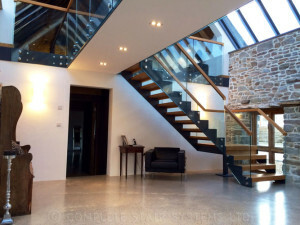 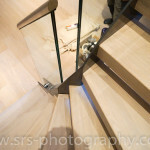 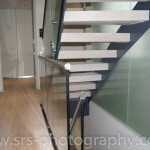 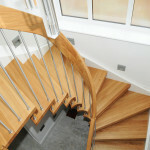 Have a look at the links below to see some previous examples of this bespoke staircase. 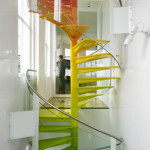 The Living Staircase designed by Paul Cocksedge. 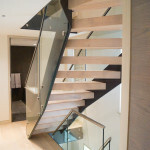 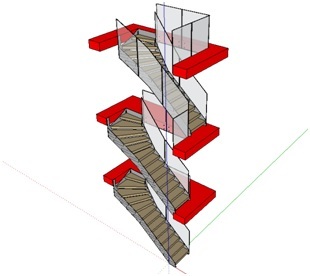 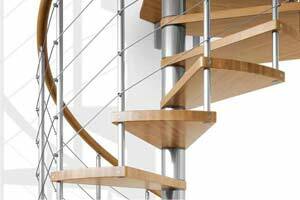 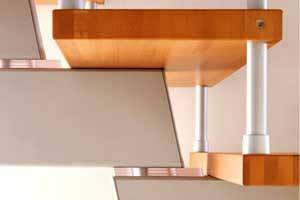 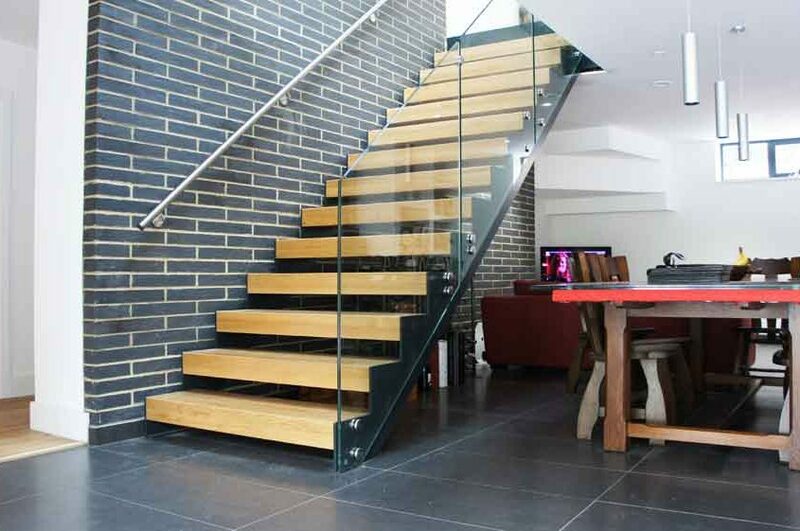 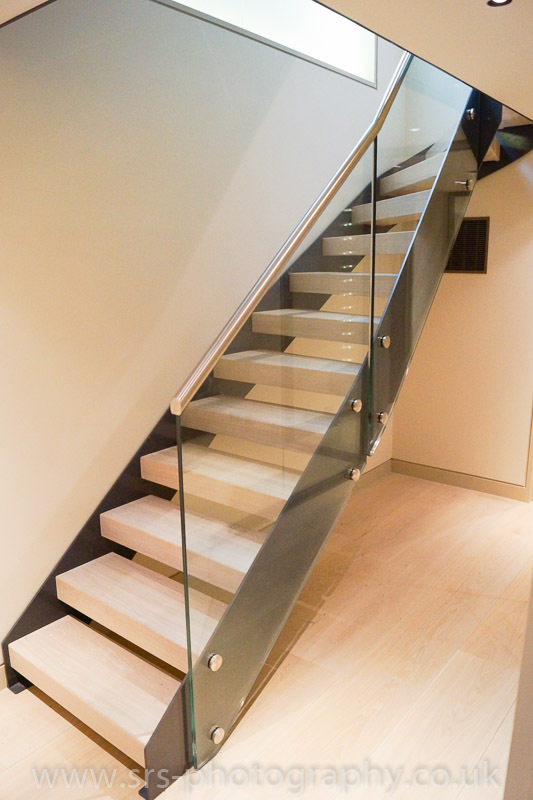 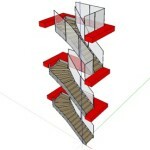 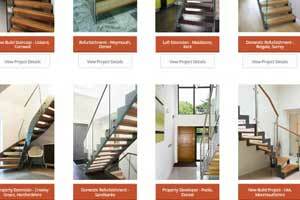 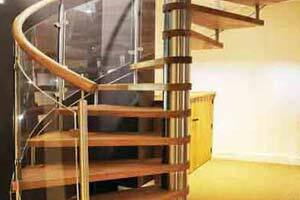 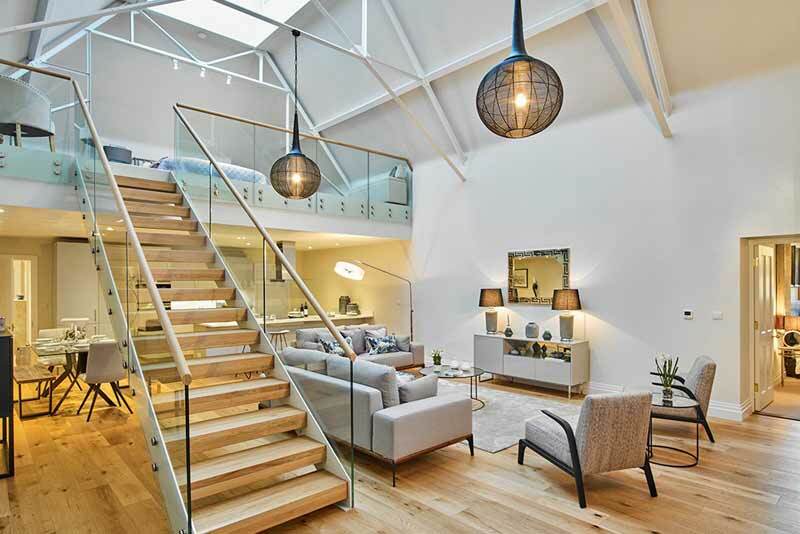 Complete Stair Systems have long been preaching that a staircase is not simply a structure to provide access to an upper level but an opportunity to make a stunning statement. 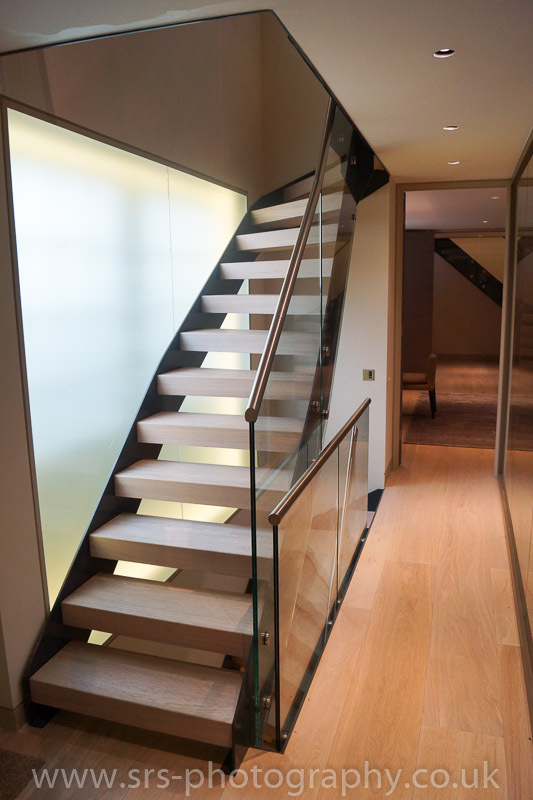 A custom made staircase specifically designed for the immediate environment and the individual user is exactly what we strive to achieve. 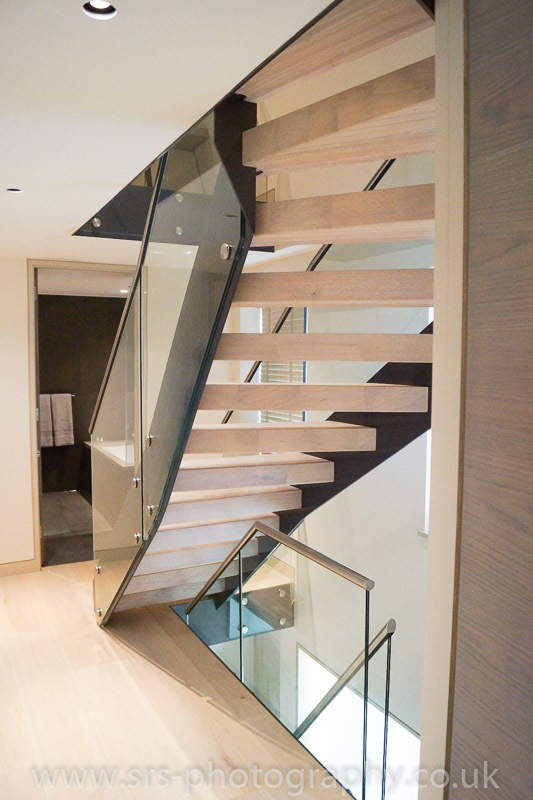 A staircase that actually enhances your living experience. 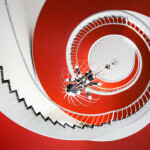 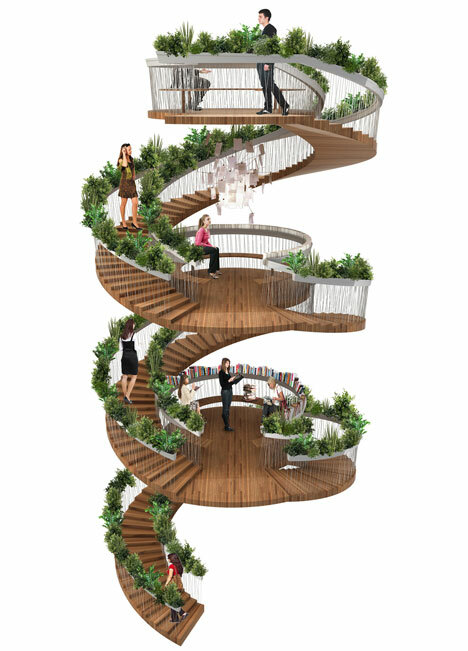 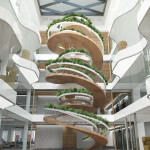 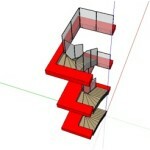 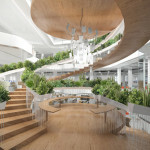 The pictures featured show a design concept helical staircase from designer Paul Cocksedge. 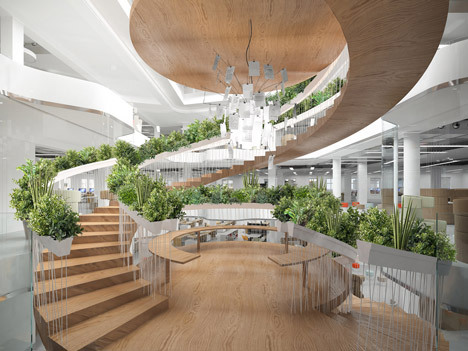 He was commissioned to design a central feature for a state-of-the-art new office development in Soho, London. 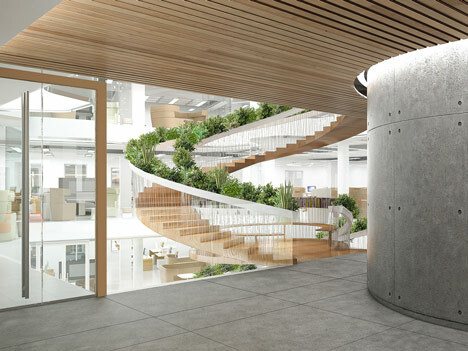 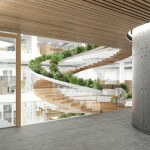 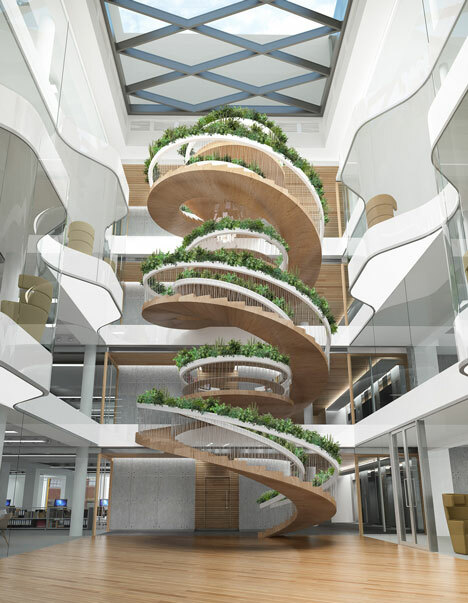 He realised that removing the centre column from a spiral staircase would create a large circular void in the middle and he came up with the idea of filling this space with platforms which would act as ‘social places’ for staff to congregate. 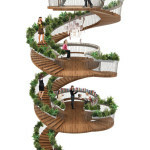 “The Living Staircase is actually a combination of staircase and room, of movement and stillness, vertical and horizontal”, said Cocksedge. 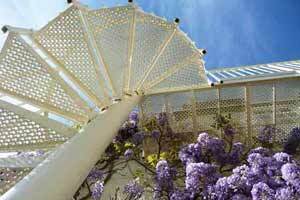 “At every turn there is an opportunity to stop and look, smell, read, write, talk, meet, think, and rest. 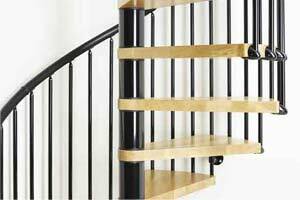 If a staircase is essentially about going from A to B, there is now a whole world living and breathing in the space between the two,” he added. 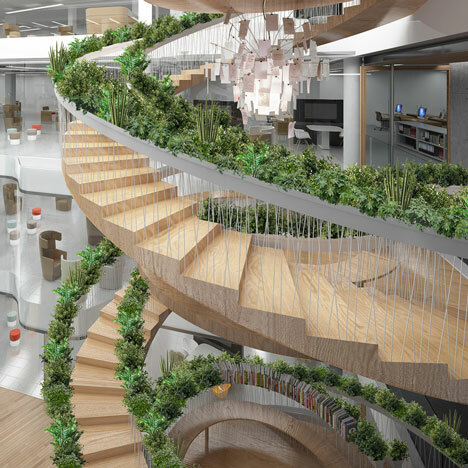 Well, hats off to you Paul for a truly inspiration design – we might sneak a trip up to Soho ourselves to take a peak when its built. 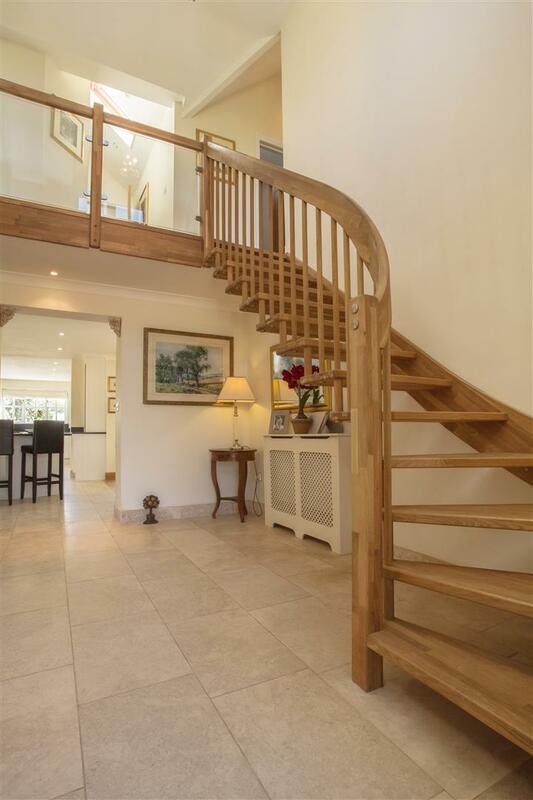 Sorry – no – we cant offer this I’m afraid. 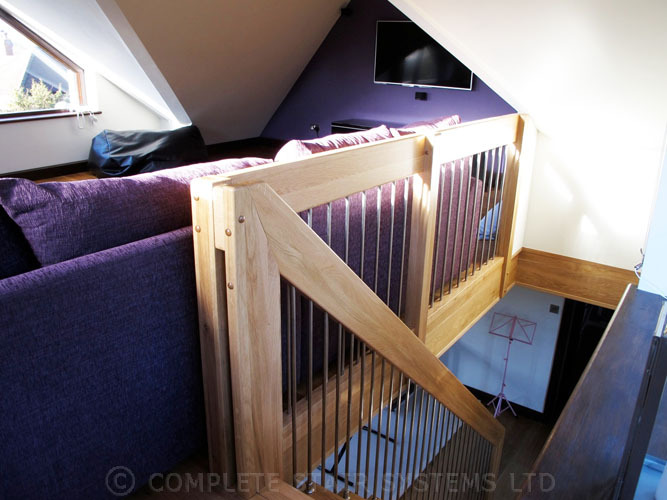 It is a tad too bespoke for us. 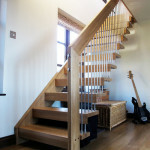 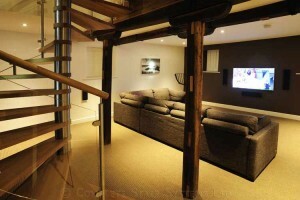 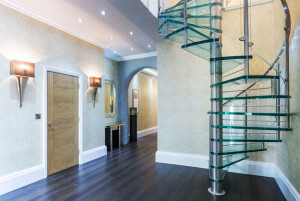 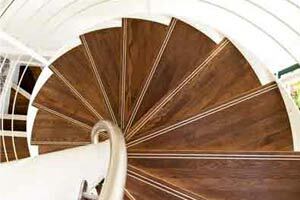 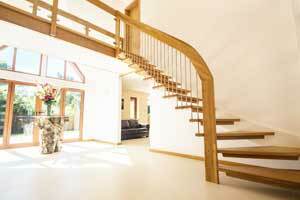 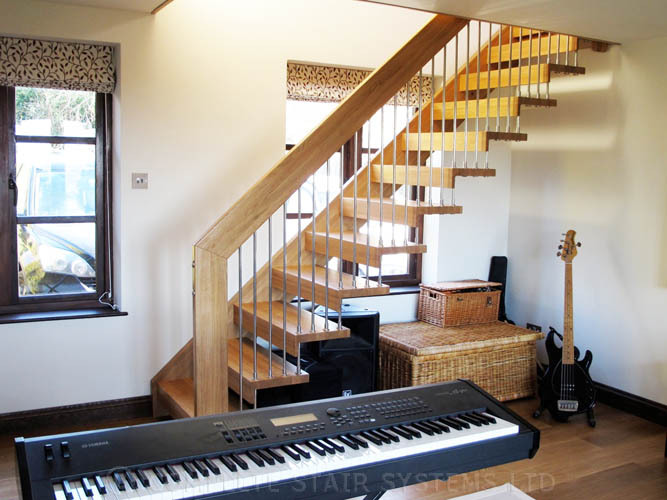 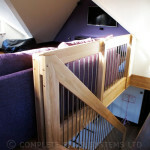 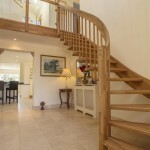 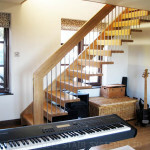 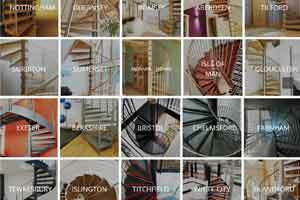 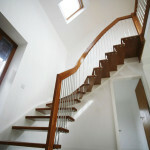 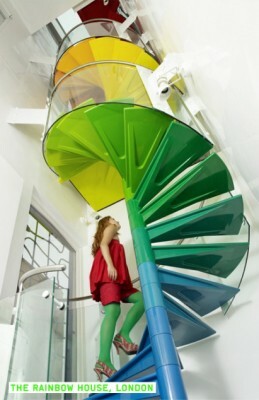 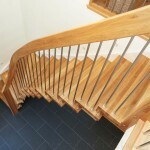 You can however have a look at our conventional spiral staircases and send us an enquiry for a price. 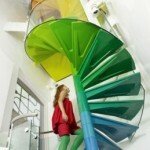 Wow wow wow!!! 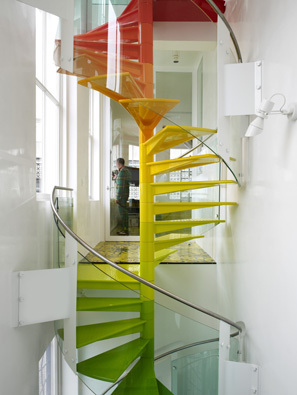 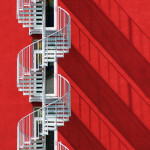 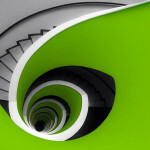 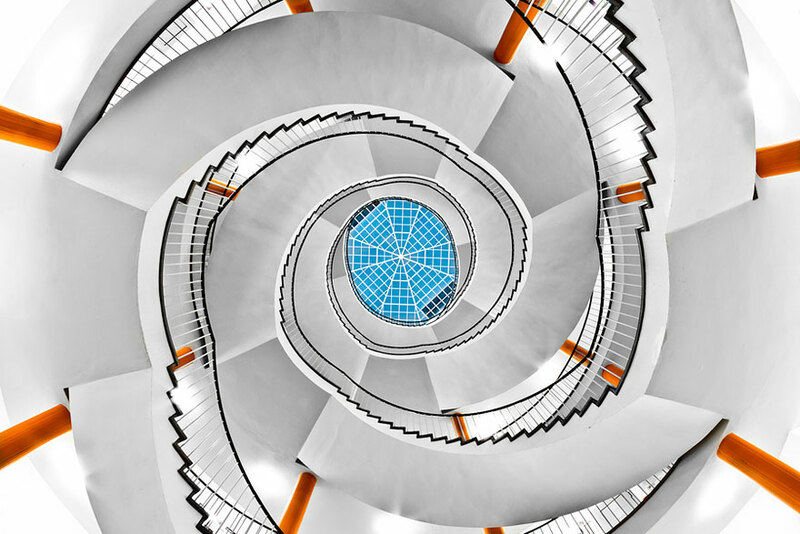 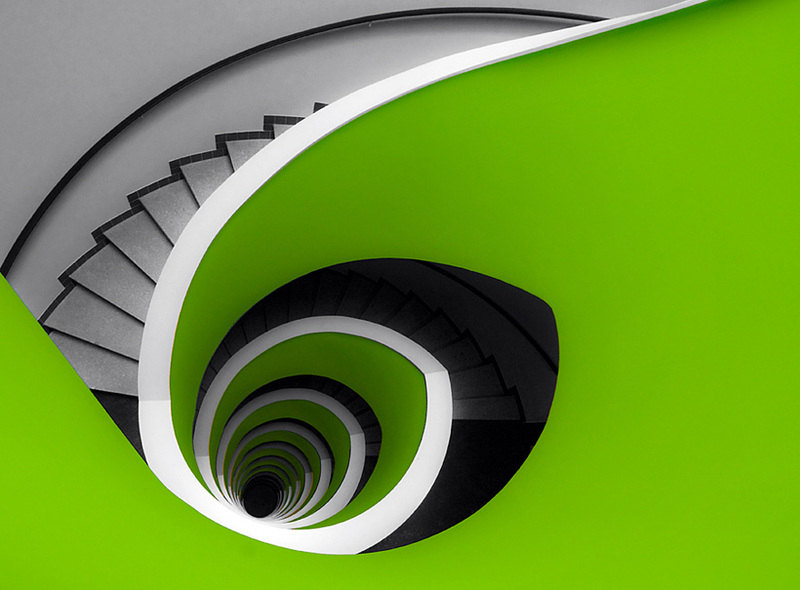 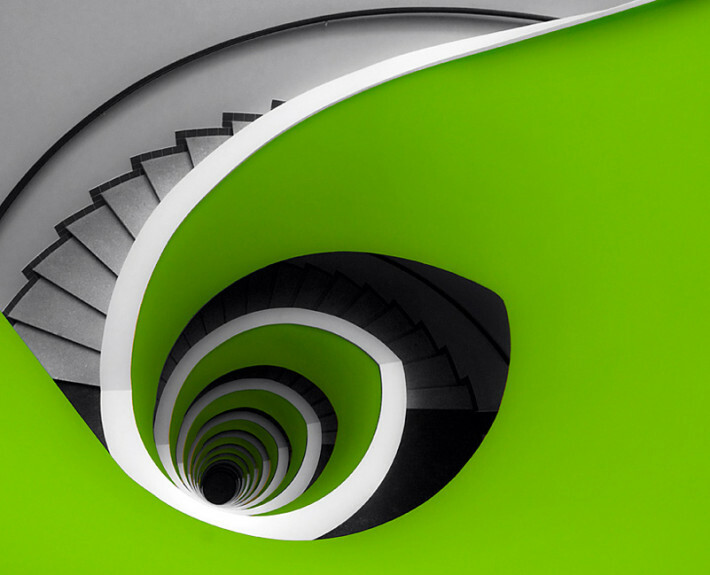 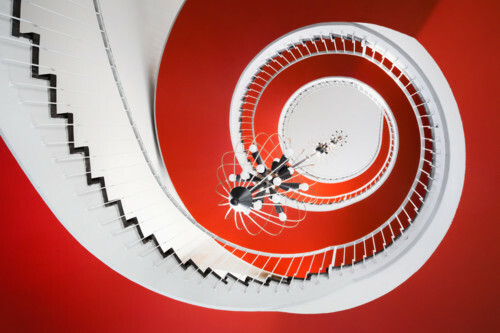 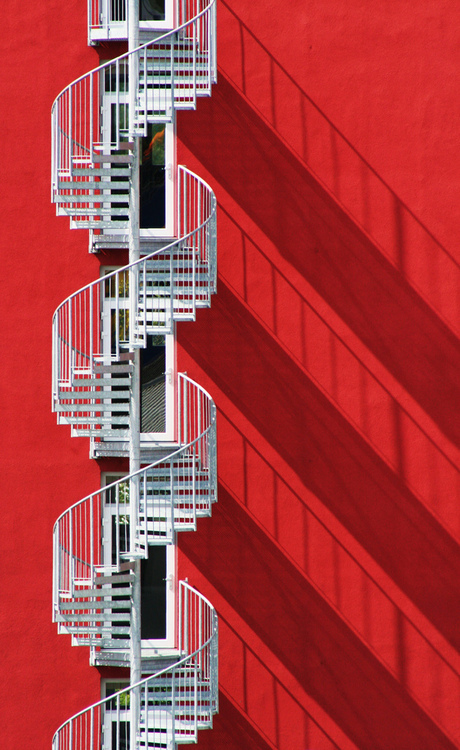 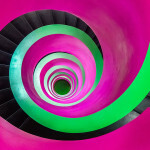 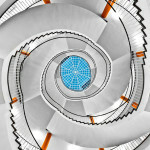 – Spiral Staircases and Helical Staircases create wonderful features in the right setting and these examples show that the addition of colour can transform a structure into a feature. 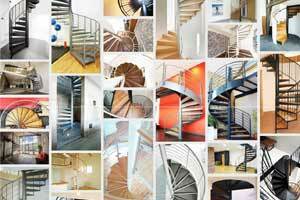 None of these are actually stairs we have supplied but we are always on the look out for interesting staircase designs that take your breath away and these are magnificent examples. 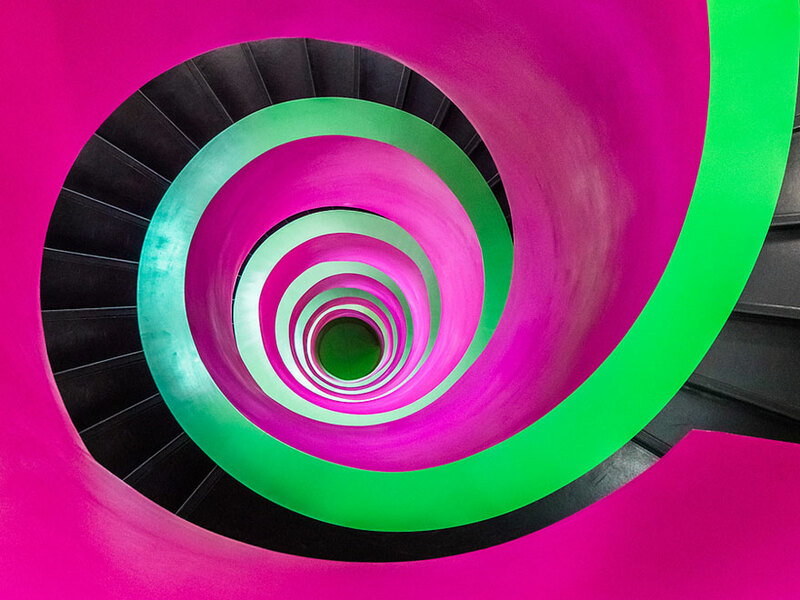 https://www.completestairsystems.co.uk/wp-content/uploads/2013/12/Helical-Pink.jpg 660 880 admin https://www.completestairsystems.co.uk/wp-content/uploads/2018/04/Header-Logo-116x116-1.png admin2013-12-04 20:45:532013-12-04 21:03:52Full Colour Staircases!